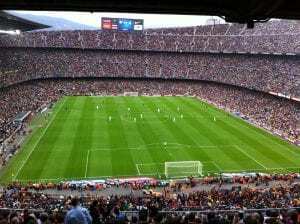 The captain of the University of Brighton women’s football first team trod hallowed sporting ground as she took part in a discussion at FC Barcelona’s legendary Nou Camp stadium. Dominique Beckett visited Barcelona as part of Santander Universities’ Women in Football scheme, which supports female talent in both their sporting and professional lives. Trainee PE teachers organised a V-Cert day for year 10 pupils from Peacehaven Community School. Following their recent visit to East Sussex College, PGCE and School Direct Physical Education students attended a one day conference that addressed the teaching of post-16 accredited PE courses. The Olympic Games – blessing or curse? A Memorandum of Understanding to signify a statement of intent to collaborate signed between the University of Brighton and the English Institute of Sport (EIS) is providing hands-on benefits for our sport and exercise science students. The Memorandum of Understanding reflects the on-going support the university’s Environmental Extremes Lab Team are providing the EIS and associated national teams as they prepare for the heat of Tokyo at the 2020 Olympics and Paralympics. 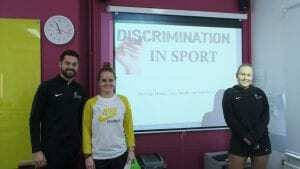 PGCE and School Direct trainee PE teachers took part in a workshop-based seminar that focused on providing inclusive physical education lessons for children with autism. Students on our Sport and Exercise Science BSc(Hons) course have been gaining hands-on experience working in the community as part of their course. 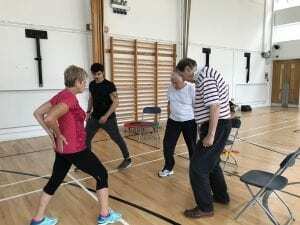 Students on the Personal and Professional Development module have helped with the launch of our new exercise-based cardiac rehabilitation programme, The Active Recovery Programme. The programme has been developed by course leader Dr Louisa Beale in collaboration with Freedom Leisure, with funding from the cancer charity Macmillan Cancer Support via Albion in the Community, and an ECHO grant. 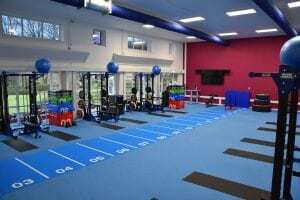 A new gym, learning space and seminar room have been unveiled at the University’s Eastbourne campus. The Queenwood Seminar Room and Social Learning Spaces feature state-of-the-art furniture and technology to facilitate student collaboration. Key additions include two edit suit rooms, USB power chargers throughout and fixed and flexible furniture, including coffee tables and collaboration desks. 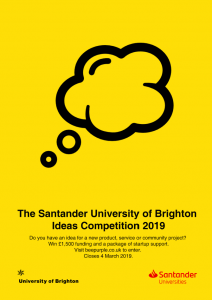 The Santander University of Brighton Ideas Competition is your chance to make it happen if you have an idea for a new product, service or community project! There are top prizes of £1500, £1000 and £750 available to win. As well as the cash prizes, the three winners will also receive a free package of support from local entrepreneurs and specialist businesses. There are also three runners-up prizes of £250 and ten highly commended awards of £100. The competition is open to all students and those who have graduated in the last three years. It aims to reward innovation, and turn great ideas into reality. The deadline for receipt of applications is Monday 4 March 2019. 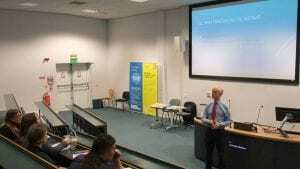 As a preview to his upcoming inaugural lecture we spoke to the clinical professor of sport and exercise medicine at the University. Nick Webborn OBE has been at the forefront in the development of Paralympic medicine, and is now chair of the British Paralympic Association. Nick incurred a spinal cord injury while serving in the Royal Air Force in 1981 and his own experience of the rehabilitation process inspired his career in sports medicine. In this episode, ahead of his inaugural lecture on Wednesday 27 February, Paralympic Sports Medicine – The Evolution of a Specialty, Nick traces the story of his career journey and mission to bring the same level of support to Paralympians as Olympians.